Who doesn’t love bacon? Bacon is that special ingredient that’s delicious all on it’s own or in any dish. Tonight for dinner, whip up a fast, 30 minute flavorful soup filled with spice, bacon, leeks and corn. It’s just what you need during the winter season to warm your tummy and soul! Impress your family with an easy, weeknight soup that is full of flavor and texture and super fast to make! 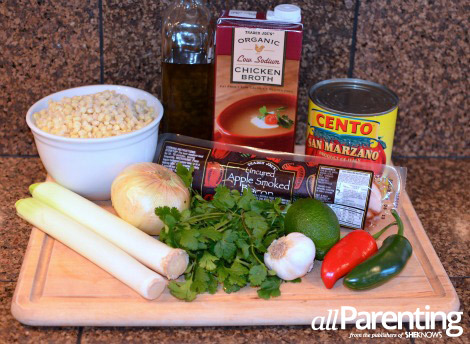 In less than 30 minutes, you can have a delicious, hearty soup on the table to warm everyone up! Let's get serious — bacon is to die for in just about any shape or form. In this soup, the bacon adds a little smokiness to the dish. The smokiness gives you that warm, rustic feel. The best part about this soup is that you can control the spiciness from the jalapeño peppers, add a little less or a little more to adjust the heat to just the way you like it. 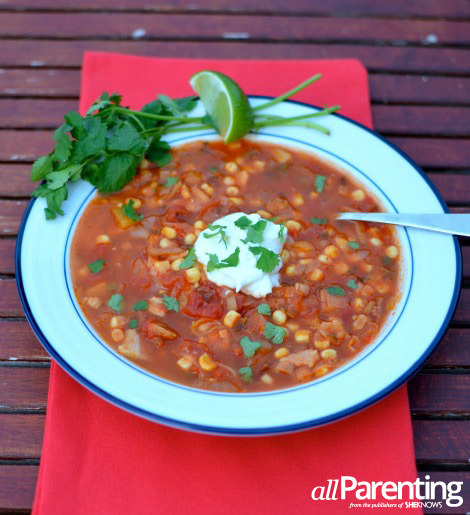 Add a dollop of sour cream on top to add a little creaminess to the soup! In a large pot, heat the olive oil over medium-low heat. Add the onion, leeks, garlic and bacon. Cook until the onion and leeks are soft and the bacon has lightly browned. Add the jalapeño peppers and tomatoes, cook for 5 minutes. Add the corn and cook for 10 minutes. Stir in the cilantro and lime zest and cook soup for 5 more minutes. Check the seasoning of the soup and add salt and pepper if desired. Ladle into soup bowls. If desired, top with a squeeze of fresh lime juice, sour cream and fresh cilantro leaves. A classic winter vegetable comfort soup, such as this one, pairs nicely with an Alsatian Pinot Gris or Pinot Blanc. These two white wines have enough body to stand up to the heartiness in the dish and the flavors of the wine merge nicely with the vegetables. 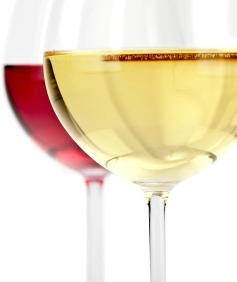 Also the natural acidity cleanses your palate. Red wine lovers should try a Beaujolais from France. A Moulin-à-Vent Beaujolais complements a hearty winter tomato soup. The acidity of the wine can stand up to the acid in the tomatoes and the wine is light enough to handle a little heat.